When you meet new people and they want your contact info, sure you normally exchange numbers or call each other and then create a new contact with personal info. Another example like when new people come to your come and they need your WiFi password, now if you can’t remember password then you find it or you go ahead and manually connect them to the network. Here in this article, I have listed and explained Free Websites to share your contact and personal info using the QR code. Scan Below QR Codes Using Normal Camera App On Your Smartphone. This Will Show My Custom Created QR Code. It’s completely free and super easy to use. I literally created my first QR code in about 2 minutes. Step 1: Open QRCode Monkey Website – Click Here. Step 2: Select which type of QR Code you want to generate. For Example, URL, Text, Email, Phone, SMS, VCARD, MECARD, Location, Facebook, Twitter, YouTube, WiFi or Event. Step 3: Here I have created the QR code for VCARD so select VCARD from types of QR Codes. Step 4: Click on VCARD and leave the version at 2.1. Version 3 will probably work with iOS 11, but I didn’t test it. Step 5: Now enter all the information that you want to store into your QR code. Step 6: Just go ahead and click on the Create QR Code button on the right-hand side. You can click on the Download PNG button or download the QR code in SVG, PDF or EPS file formats too. They Provide All-In-One QR Code Marketing Platform. I like it because they have one unique feature, you can generate the QR code for the MP3 file, App stores, and Images but to create the QR code for them you need to sign up. They help you run QR Code marketing campaigns successfully with custom QR Codes, scan statistics and mobile adapted content. Step 1: Open QR-Code-Generator Website: Click Here. Step 2: Select the types of QR Code you want to create. Here they provide types like URL, VCard, Text, Email, SMS, Facebook, PDF, MP3, App stores, Images. Step 3: Enter your details and Click on CREATE QR CODE button. 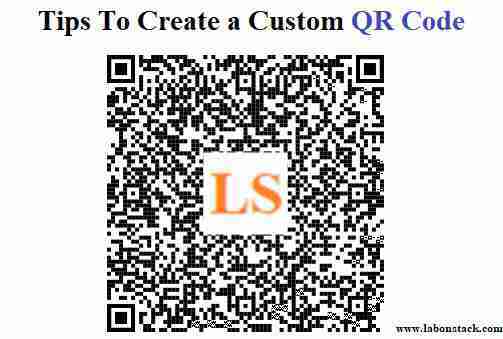 It is very simple to create QR code Using TheQRCodeGenerator website. They provide facility to scan your QR code using laptop webcam. This very unique feature of them. After generating QR Code you can download them as a PNG, SVG, and EPS format. Step 1: Open The-QR-Code-Generator Website: Click Here. Step 2: Now you need to select the type of QR Code you want to create. Here they provide types like FREE, TEXT, URL, CONTACT, PHONE, and SMS. The-QR-Code-Generator provides auto QR code generator so it means you no need to click on create QR code button. When you update details of QR code it will automatically effect on QR code.